And since Regina left a comment on my last post to post more often (which by the way I know I haven’t been posting, but I’ve been pretty busy), I’ve decided to dedicate this post to her. 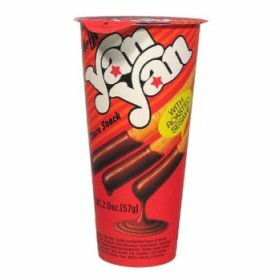 A few years ago we were hanging out and we were probably on the way home from eating when we started a discussion about why Pocky was better than Yan-Yan and vice versa. 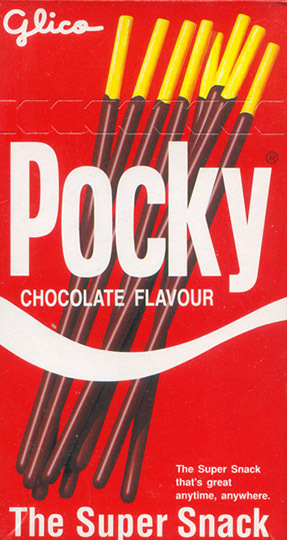 I was for Pocky because you don’t have to fuss with getting chocolate everywhere OR running out of chocolate! Reg for Yan-Yan because you’re not skimped on chocolate and you can put as much as you want. So we took a poll. While in the car…we started calling all our friends and whoever got to 11 votes first won. Or was it 21 votes? Anyways, something like that. Well…to be honest Yan-Yan won the votes. BUT it wasn’t the REAL winner. 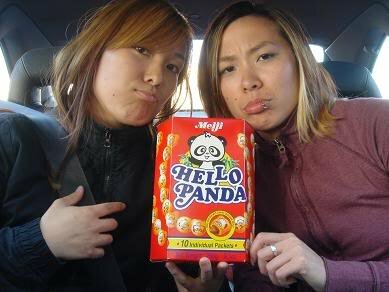 A friend called us back and said that she actually preferred Hello Panda. HELLO PANDA?! Why didn’t we think of that?! HANDS DOWN THE WINNER. No fuss about chocolate or biting into a stick. Just pop it in your mouth and your mouth is filled with chocolate and short bread crackers. YUM. And it looks like I am a winner with my vote for little panda heads! HAHAHAHA that pic is legit. HAHAHAHA!!! that was pretty much the funnest day in life! j/k. thanks for the shout out! why is everybody siding with you? clearly yanyan has the better more buttery stick that you can sink your teeth into. and the chocolate is more silky. but hello panda kinda kicks everybody’s arse! obviously everyone sided with you since yan-yan technically won. but really…we all know who the real winner was. hello panda.